With all the recent scares about arsenic or lead in your child's apple juice, why not go to the source and make your own? Pack a picnic, and head for the country by car, train or bus to your nearest organic you-pick apple orchard. Not only will you have a great adventure in the country, but also your tot will learn that their fruit does indeed grow on trees - not in a box! Hurry up and get the last apples of the season. In some states you can still pick blueberries, peaches, figs, squash, and fall vegetables, too. To find the nearest organic or pesticide-free farm in your neighborhood visit PickYourOwn.org. 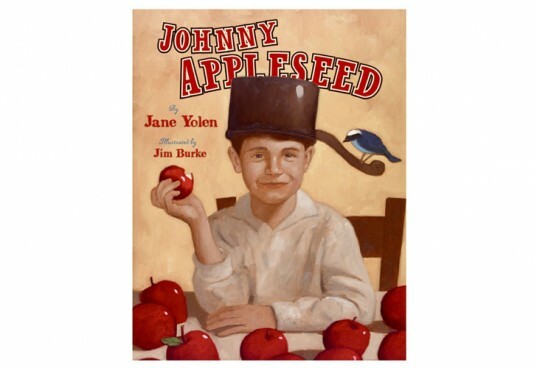 As you commute to your farm, entertain your tots with the story of Johnny Appleseed, a man who never hurt an animal and who planted apple trees all across the Midwest. Once you get home you can follow up your adventure with library books like Johnny Appleseed by Jane Yolen and art activities about Appleseed, a true organic farmer! When you arrive at the orchard, a farm guide will give everyone a lesson in best picking methods. Remind your crew to look for firm, bruise-free fruits. Simply twist the apple and then pull. Encourage your kids to put the apples in your bag or basket gently to avoid bruising them. 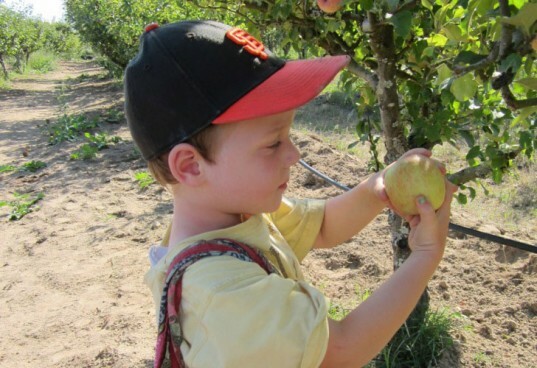 Most farms have a variety of apples available, so your kids will enjoy exploring the different colors and tastes. The fun doesn’t stop at picking the apples! Preschoolers can practice counting how many apples or fruits they’ve collected before weighing them on the scale. Then have your child count out how much you owe and you’ve got an interactive math lesson. Check to see what else is happening at your orchard when you go — you may find a hay ride, corn maze, or a leaf pile to jump in, which all make for a perfect celebration of the end of fall. Back at home you can eat your apples plain – we bet they’ll be extra juicy and delicious since you just plucked them from the tree – or bake easy apple crisp, make apple sauce or add one to your favorite fruit smoothie! 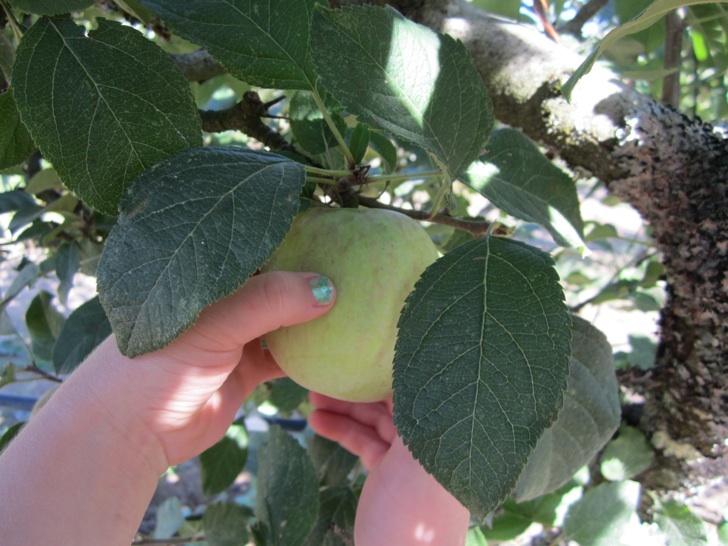 When you go apple picking with kids, be sure to ask about the best spots to go where you'll find low-hanging fruit so your kids can get in on the action and pull a few apples off the tree themselves. Tell your crew to look for firm, bruise-free fruits. To pick apples, you shouldn't shake the tree. Simply roll the apple up and off the branch giving it a little twist. Encourage your kids to put the apples in your bag or basket gently to avoid bruising them. If your farm has a variety of different kinds of apples available for picking, your kids will enjoy exploring the different colors and tastes available. The fun doesn't stop at picking the apples! 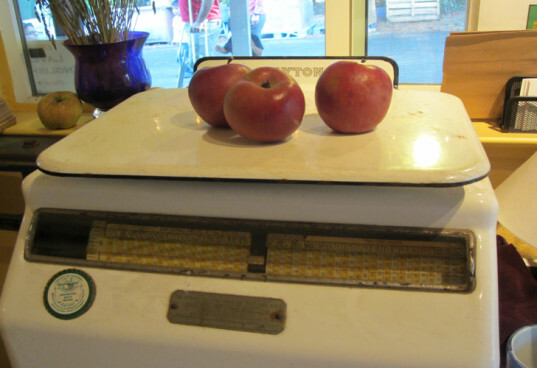 Preschoolers can practice counting how many apples or fruits they've collected before weighing them on the scale. Then have your child count out how much you owe and you've got an interactive math lesson. 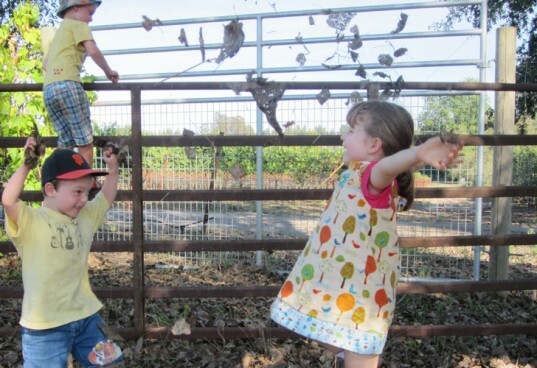 Check to see what else is happening at your orchard when you go -- you may find a hay ride, corn maze, or a leaf pile to jump in, which all make for a perfect celebration of the end of fall. 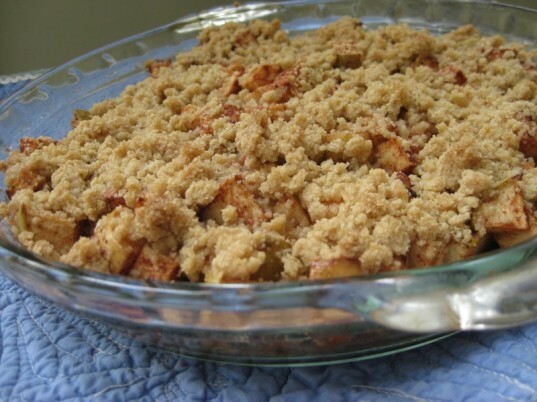 Back at home you can eat your apples plain - we bet they'll be extra juicy and delicious since you just plucked them from the tree - or bake easy apple crisp, make apple sauce or add one to your favorite fruit smoothie!